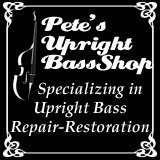 Vintage guitars, amps & gear from the 60's, 70's and 80's... on a budget! 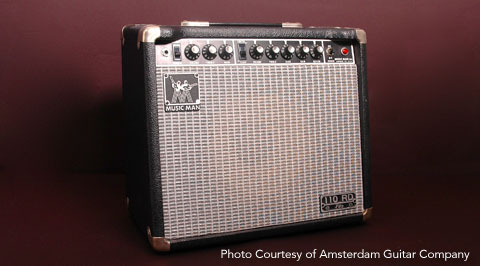 Just posted a new page for the Music Man 110 RD Fifty guitar amp. Just one day after we reported the #AlmostFamous story of Murph Guitars, one of the rarest 1960′s guitar shows up on eBay. Interestingly, the seller has misnamed the Squire II-T as the Squire 11-T. Same naming mistake that Michael Wright made in his article. Here’s the link: Vintage 60′s MURPH SQUIRE 11-T Made in USA ALL-ORIGINAL RARE !!! Here’s the story of Murph Guitars. It’s the story of how Patrick Murphy, a WWII Navy pilot from Detroit, who moved to California in the 1960′s – and for a brief period – became a designer and manufacturer of some groovy electric guitars. 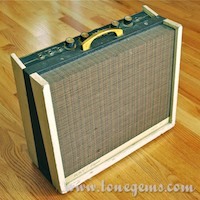 The story is told here by author Michael Wright of Vintage Guitar Magazine (www.vintageguitar.com). More about Patric Murphy and Murph guitars at the fan website dedicated to the history Murph Guitars. Guitar Player magazine (www.guitarplayer.com) is reporting that John Lennon’s Gretsch 6120 will be auctioned in November. This is the same guitar that was played by Lennon in April 1966 while recording The Beatles hit “Paperback Writer.” It is estimated that the guitar might fetch as much as $1 million! The early 1960′s Gretsch is a Chet Adkins model with a pair of Gretsch FilterTron humbuckers, gold-plated hardware, Space Control bridge, and a Bigsby B6-C. Here is the link to the article: John Lennon’s ‘Paperback Writer’ Gretsch Could Fetch $1M. According to the Gretsch Guitar Database maintained at The Gretsch Pages, it is a 1963 Chet Adkins 6120, serial number 53940. Link to database here: 1963 Gretsch 6120: 53940. Classic rock power chords, baby! Great “how to” video. Intro chords: F – G – G – F.
The Kinks perform their classic hit, You Really Got Me. Classic guitar riff, heavy distortion. Review: Kay 704 Vanguard Vibrato, "A Briefcase Full of Blues"